What child would not love these graffiti style pillows! 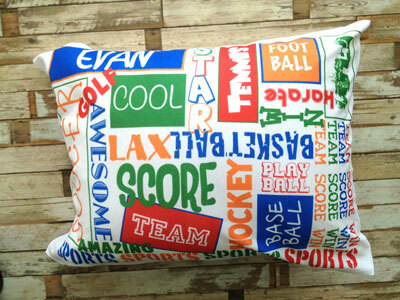 Choose to either get a small throw pillow with case or a large pillowcase for use with a standard-size pillow. 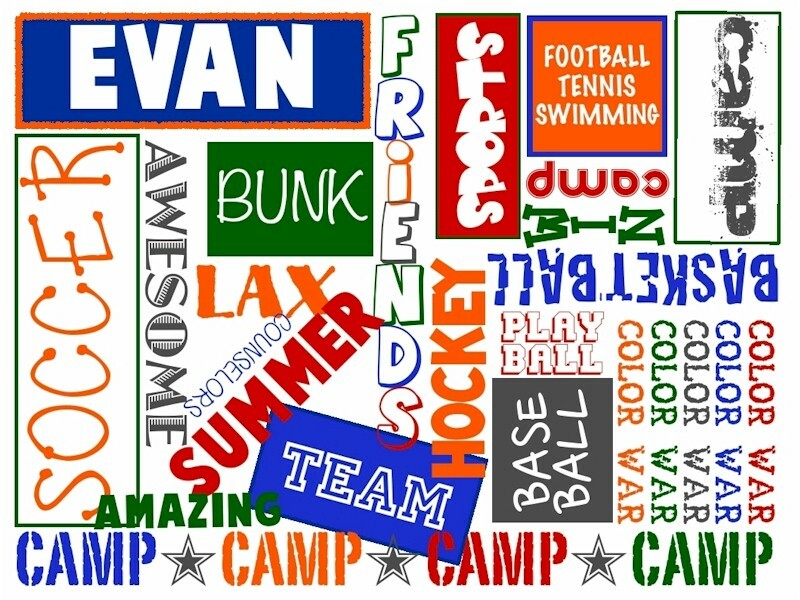 Available in either sports or camp design with personalization at upper left. Imprint is on one side only.